I usually try not to talk about graphics too much, so as not to let it get in the way, but it is hard not to notice it in this game, so let’s just state it once and for all: this game looks amazing. It really shows off what photogrammetry can do, what the developers can do with it, and how real it can make things look. I have no trouble just walking around here and enjoy the walk as I could and would in real life. There is more than walking and gawking to do here, though, so let’s move on. The power of imagination and joy of storytelling is a strong theme throughout the game, but this is shown by example instead of being talked about, which makes things rather meta, but also more of a game than an essay — which is perhaps fortunate. The examples we get are plenty and things happen on many different layers at the same time. The more I think about it, the less certain am I of which level we, as the protagonist, are really operating on. I don’t want to spoil too much of the story, so suffice it to say that we are both there and not there, and that there are more to the story than meets the eye. The main story is told from two opposite perspectives and one of these has been spiced up with a couple of sidestories and secrets. You don’t have to bother with all this multilayered meta-stuff, though, if you don’t want to, because the main story and all the side stories can still be enjoyed on their own. They are all doing a good job of demonstrating the main theme. I also saw part of myself in the main character, which was a big part of me liking this game so much, because I don’t get that too often in a game (or any other media for that matter) so it’s something I always treasure. The main mechanic is investigating a number of crime scenes in both the now and in the past by using the player character’s special ability, as a detective, of seeing, but also sort of entering the still lingering memories of what happened, and put all the pieces together in the right order. Another mechanic is the exploration itself and there are a lot of different locations to explore. There are also a few extra puzzles, like the Vandergriff house puzzle where each room is a piece. This puzzle has been slammed for not making sense in its context, but I see it as a reminder that we are reorganizing the memories in a dead, but lingering mind. It also works as a lock in one of the other story layers. To me it makes sense in the context of storytelling and how we remember things, and I also liked the puzzle in itself as a welcome challenge. The music quite competently sets the tone of melancholy, nostalgia, and the pains of growing up in such restrictive surroundings. The whole area of Red Creek Valley feels like a ghost being kept there against its will. All it wants is to move on, but the memories of what once was stops it from leaving, which I guess is why we are there. I’m old enough to now see the same thing happening with the places I once hold dear as a child — and part of me still does even if many of those places are now changing or disappearing. I know I can never return, but so long as I persist in trying, the ghosts will haunt these places — just as they will haunt me. So, yeah, I’m projecting like crazy right now… I wonder what I had thought if there had been no music at all!? There are a couple of cool rewards for exploring. There are also a lot of other cool stuff to discover that you might not expect when you start. I mean, I’ve seen people dissing the game for being a “walking simulator”, but it really isn’t — unless they say that about everything that doesn’t involve guns 😛 — because it has actual, traditional gameplay and numerous things you can interact with. One thing that always bothers me in a game are invisible barriers. Sooner or later there must of course be a barrier somewhere, and some of them might also have to be invisible. The barriers in this game were pretty well done, often using natural barriers like high mountain sides, walls of trees, or large stones, but there were also some that weren’t as natural, which is what invisible barriers are all about; they feel sudden and like they shouldn’t really be there. A problem here is that a game world must stop at one point or another, even if it means stopping in thin air. One thing that I’ve come to accept is when this kind of barrier follows a water line, because the transition into water feels like a natural barrier even if it is an invisible one, and it’s also a bit of a standard in games (the player either stops at the waterline or a certain distance out, or is revived after having drowned (there are even in-game jokes about not being able to swim)), albeit not in this game. If you focus on following the story, you might never notices these less natural barriers, but you will if you leave the already trodden paths — and you will want to, because the game will sometimes reward you for it. Another thing, related to exploration and invisible barriers, is the inability to jump: it’s an easy way to stop the player from going where you don’t want them to go, but it’s also always a bit of a disappointment to me as an avid explorer: not only does it break immersion, but it also restricts my sense of freedom. This does depend on the type of game, though: In a game that prides itself for being all about exploration, it’s important to be able to go anywhere (within reason), even if it means dying by jumping down an elevator shaft. 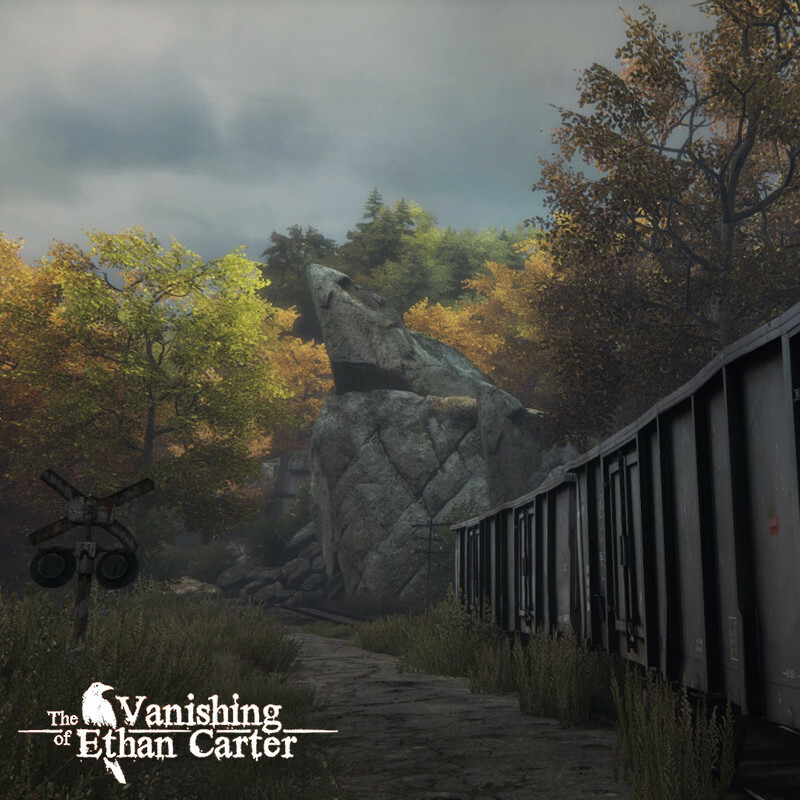 In a game that is all about solving puzzles or following a narrative, restriced exploration is less of an issue (this is also true for invisible barriers). This game falls somewhere in between: on one hand the surroundings really invite you to explore them, but on the other hand the narrative could suffer from the player stupidly dying all the time — and I don’t think it ever claims to be about exploration, so it’s a minor complaint. A game like INFRA, on the other hand, would really have suffered if jumping and mantling hadn’t been a thing. Posted in Indie, Review.Tagged 3D, exploration, First Person Exploration, FPEG, horror, imagination, indie, nature, nostalgia, photogrammetry, puzzles, storytelling.